Mary Jean Irion wrote that! You are about to discover that I’m on a mission! There is a well-known quotation–usually incorrectly identified as a poem–that has meant a great deal to me. It has meant even more as sad, painful, frustrating and frightening things have happened in my life. You may have seen the quotation too. It begins….”Normal day, let me be aware of the treasure you are.” It’s the second of two paragraphs at the conclusion of a two page essay. It reminds us that at some point in our lives we may yearn for a mundane, typical, normal day–with its usual frustrations and irritations–to take the place of the painful, tragic or anquishing day we are experiencing. Here is where my mission comes in: Almost always those lines are attributed to Mary Jean Iron. Hundreds and hundreds of sites have that attribution. I was interested in Ms. Iron, because I wanted to read the excerpt in context. That is when I discovered that there is no Ms. Iron. 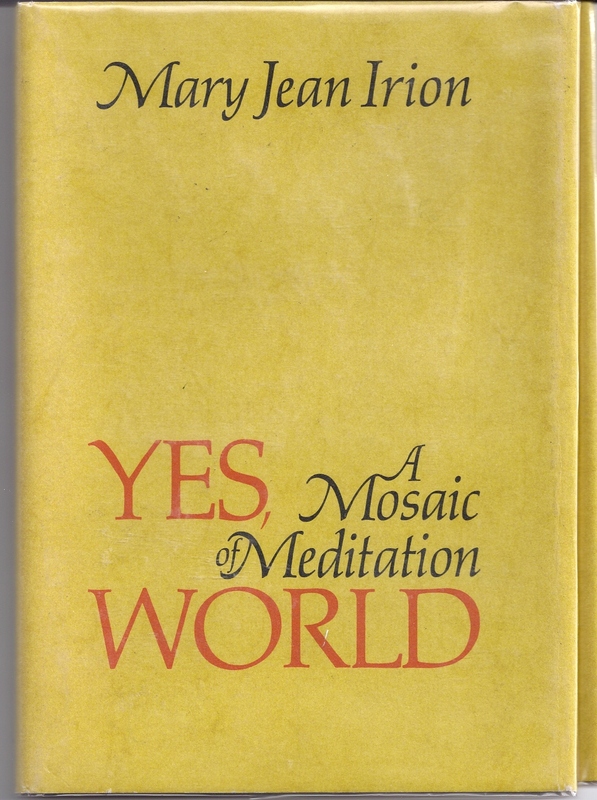 There is Mary Jean Irion (Ear-e-yon), who, as near as I have been able to research, wrote it in the late 1960s. 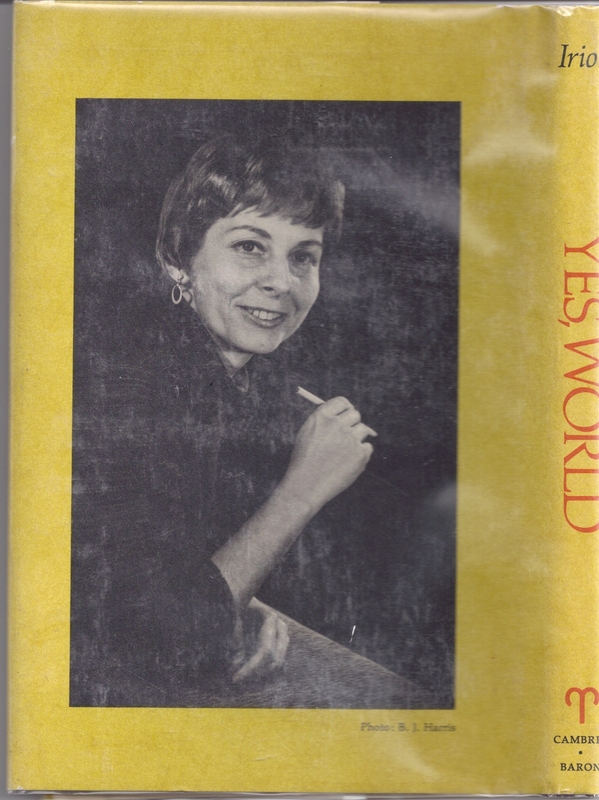 After it was published in McCalls magazine she included it in a book of essays published in 1970: Yes, World. A Mosaic of Meditation. Ms. Irion lives in Pennsylvania, wrote for The United Church Herald and was a teacher of English Literature at the Lancaster Country Day School–I think she’s still writing! She may not care that her name is misspelled on sites that use this quote–in fact I’m sure she doesn’t, given her expressed philosophies. But, I’m on a mission to get her correctly attributed. So far I have contacted 116 sites and asked them to correct it. Most have. I’ll recontact the others and keep going. There have been some interesting results to my contacts and maybe I’ll share those sometime. Read Mary Jean Irion’s wonderful prose, straight from the book. It’s the conclusion of thoughts about her day, which had both good and bad elements–a normal day. If you see it incorrectly attributed, let the website know that the correct author is Mary Jean Irion, in the essay, “Let Me Hold You While I May”, in the book, “Yes, World. 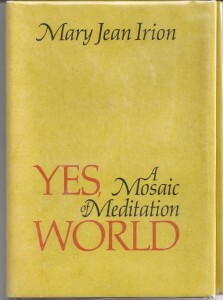 A Mosaic of Meditation”, published in 1970 by Richard Baron Publishing. And it’s on page 53. Tina, you are a continual source of amazement to me. Who but you would get on a mission like this? OK, I’ll help. I LOVE that quote! I always thought it was a poem and I have always heard that Mary Jean Iron said it. Thank you for setting the record straight. Good work!! I just now checked and I see what you mean. Almost every site says it’s Mary Jean Iron. 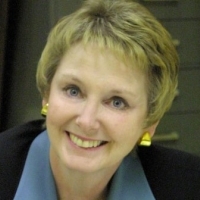 I’m surprised Mary Jean Irion hasn’t done something about it before now. I think I saw that quote on a calendar and it was wrong there too. How bizarre! When I can I’ll let sites know about the mistake. You do good work! Leave it to you to be on a mission. But, this seems to be a worthy one. Dee says she loves the quote and has used it in her classes, but always credited it to Mary Jean Iron, so she’s changing all of those. Isn’t that strange, how such a mistake can start and continue and nobody notices? I’m glad you were on the job! Blessings to you, Tina. Don’t hate me, but I think she weakened the first two paragraphs with with the last part. She should have stopped sooner. I like the first part though and have never read the lead-in to it. Thanks! Hello! I found your site while looking for information about challenging employees, but stayed around to read and have been reading for an hour! I have this quote at my desk and it’s credited to Mary JANE Iron, so even that part of the name wasn’t right. Thank you for giving this information. Tina, I want to express more widely what I told you in our exchange of e-mails, after I found you and learned what you were doing. I have been so moved by your generous, giving, hard-working spirit, as you took on my cause. Someone you didn’t even know had lost her identity because of a one-letter typo— HOW UNFAIR! Your ethics of justice and equality under the rule of reason, your respect for the importance of a name, and most of all your dear humanness reaching out to rescue a name, a sister— it is all so loving and unusual (alas, yes, unusual). Thank you for being a model of what-we-need-more-of: not worship and prayer, always depending on supernatural rescue, but courage,conviction and persistence in BEING and DOING what needs to be done to honor our own species—the highest of all,the one with the big brain and the thumb (and a heart, like other animals). This IS prayer and thanksgiving sent out to the core and compass of the Universe, from which we came. Much is expected from humans, to whom so much has been given; otherwise, why wouldn’t the ever-creating, ever-destroying Universe simply cancel its own experiment with standing, walking flesh and try another: maybe beginning with robots? Surely, Tina, your kind of living brings its own joys, raising the quality of “Normal Days” until each and every one is special in its own way. My major way of doing this (at 90) is to sit here and write. It is what I do best, and I dig deep to try to correct the massive traditional errors that prevent our evolving in wholesome ways. But what I do worst is modern machines and marketing, because I never have time off from writing to learn, understand and use the brains and guts of biznus. And (although I confess that I thought about it) I will not turn this letter of thanks into the Hard Sell of an Iron Commercial. I just want to send you, Tina, another hug for doing all you have done for me. 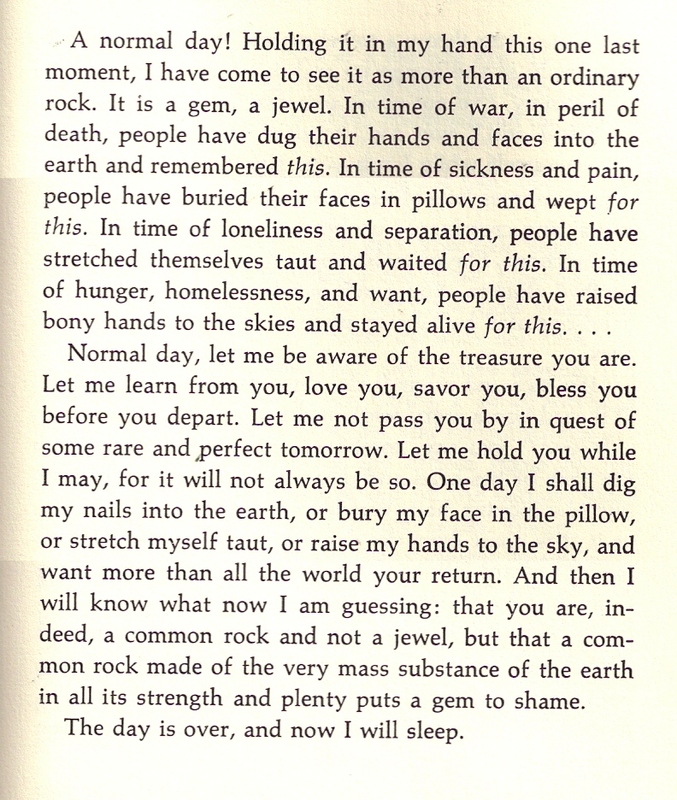 Thank you for giving the book from which this wonderful poem / writing has come which I have read and reread over decades. Much appreciated. Thank you for making this clear. In a book titled “Meditations for Women Who Do Too Much” they have the Best quote in the book written by Mary Jean IRON!? No wonder I couldn’t find more on her. I have just finished reading @Hope and Glory, by Stuart Maconie. He concludes his book with this quote, which I hadn’t come across, and loved it, but indeed he credits it to a Mary Jean Iron – please add him to your list of authors to put right! I have just re-discovered this quote. Working in the dark I hoped that I could find this beautiful expression of the essence of a normal day. It was once kept on my refrigerator and had since been lost. The name of the author was not even known to me, but I will not forget again. I love writing, and poetry is one of my creative outlets. By the way, I have always been called Tina even though I am “darling Clementine”. I read this in McCalls magazine in the 60s and cut it out. Kept it all these years after copying it and typing it out then later putting it in my computer. I have been looking for it in my computer for a couple of years and could not find it and could not remember the authors name. I typed in the word ‘Let’ in my finder looking for something else today and there it was. Always thought it would be a good monologue for our actors in our traveling community theatre. These thoughts have sustained me since I bought this as a poster in 1974 for my counseling office.It was attributed to ‘anonymous’ & I could never find it again until today. I had remembered most of the lines but not perfectly. Thank you Ms Irion for this beautifully-put wisdom! !